The term “Free shopping cart software” means that users have freedom to run, distribute, copy and change the code of this software the way they want. This is concerned to user rights and liberties, not price. To get the point of it, imagine that you have free club entrance but no drinks included. The topic “free vs proprietary”, other words, “open-source vs hosted” software can’t live indifferent even most unpretentious users. Before taking any critical position it’s better to define principal differences of open and closed-code solutions. Using open-source software, you control it and contribute to its code as you like. With hosted solutions, the program controls your actions and the developer company is in charge of it. The next aspect to be considered is the initial purpose you want your software to fulfill. When launching the store, consider the business size, its approach, your tech skills and budget that you are to spend to operate your solution in particular industry. You used to think that open-source solution will cost you less than hosted because you don’t have to pay a monthly fee. I’d like to convince you of the opposite. Let’s imagine that your child needs a school form and you have two options: sew it yourself or take it for a rent, keeping in mind that you need it for long-term usage. At quick glance the first option looks more attractive and cheaper. But don’t forget that you need to buy all the required materials and learn how to sew (of course if you’re not a professional seamstress) or find a sewing studio and pay them for doing the work. And keep in mind that you’re the one who is responsible for the child’s look. You have to take care of this school form: wash it, sew it up, clean it, add stylish details to it and make it attractive. What about the second option? Here you dress up your child in a school form, then take the clothes home, wear it for 14 days and if it fits good, you can take it for rent (you take care of nothing). Once a month you pay for cleaning, sewing up the holes and adding attractive details to its look. The service that gave you this school form, will take care of it during the whole rental time. Isn’t it a better way to spend more time with your child? What I mean by this example is that: If you are tech-savvy - open-source platform is a good option to you, though neither cheap nor free. If you’re not, just leave your headaches to your SaaS provider and concentrate on selling online. It’s reasonable to say - everything depends. You can develop profitable and attractive online store with both open-source and hosted solutions. Maybe, even more robust with open-coded (let's not forget about extensive customization possibilities). What I wanted to say that if you decide to run your store on free eCommerce platform that doesn’t mean that your will not spend a single penny to maintain it (believe me, you will have to fork out). 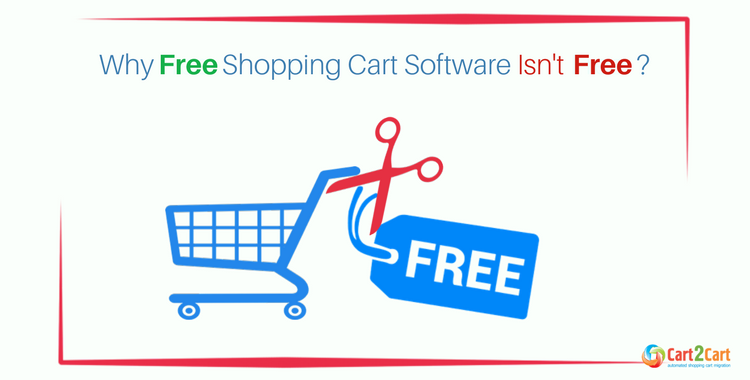 Why free shopping cart software isn’t free? Let us now dispel the myth that open-source software is free and closed-source is expensive. If you opt for hosted solution, you pay monthly fee (most often starting at around $30 per month). It includes your hosting and provides you with many eCommerce features out-of-the-box. All hosted shopping carts offer basic functionality to build up online store. To get more advanced tools you can visit official app stores. Choosing a freeware online shopping software you must understand that you will have to find needed functionality by yourself. Either to download official platform’s plugins (mostly paid) or use custom third-party plugins from marketplaces to build ap advanced store. And you need to pay for your hosting. 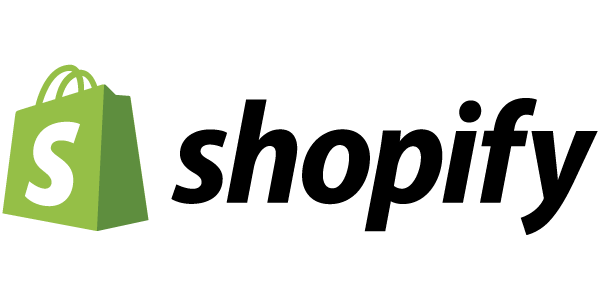 Most of open-source platforms allow you to work at cheapest hosting plans. But if you in search of speed and security you will have to spend some cash on shared VPS or fully-managed hosting. It will have a good influence your SEO ranking and site loading speed. Additionally, you will need to buy SSL certificate (about $90 a year). Thanks God, most open-source solutions (Magento, WooCommerce and many others) do not have transaction fees what slightly saves money in your pocket. Let’s take a closer look at most popular hosted and open-source shopping carts. The absolute leader among hosted solutions is Shopify. According to official Shopify press releases dated August 1 - it empowers 500,000 businesses in 175 countries. Shopify is easy to set up and use-friendly platform. It’s all eCommerce oriented and robust enough to build up advanced store. Shopify provides you with full control over the coding of your site (HTML & CSS). This solution has integrations with Amazon, Ebay, Facebook, Pinterest etc. Shopify offers 14-day free trial. After it ends, you need to buy a monthly subscription, where the prices start from $29 (basic plan). You also need to pay transaction fees, depending on your plan, up to 2% if you use other than native Shopify payment gateway. The Shopify monthly price varies from $29 to $299. Where Shopify gets a point is support. You are provided with 24/7 assistance available via emails, call or live chats. To keep your store in a good shape you can also find many guides on official website. What about the leader among free shopping cart software and currently the most world-used solution? WooCommerce is WordPress eCommerce plugin. It powers 28% of online store worldwide according to official website. Unlike many open-source solutions, Woocommerce is very user-friendly. Maybe thanks to this particular reason it is so popular. Open-code nature allows you to tweak your store as you want. WooCommerce is a free plugin with some basic tools included. If you need more than basic functionality you can use official WooCommerce extensions at extra price (some of them are quite essential). The price starts from $49 and vary to $299 per one. Quite expensive, don’t you think? Alternatives can be found on WordPress marketplace with lots of free add-ons. This article was not to judge your choice either your tend to run your store on hosted or online shop free software. It was written to show you the slight difference in price between two kinds of platforms. And mostly to clarify that free eCommerce platform doesn’t mean it is gratis. If you download the free eCommerce platform - you will pay for other things - everybody needs to make money, even the developers of open-code solution. Think over what you want to get in result, figure out your targets, define your strong and weak points. There is no reason to run open-source solution if you are not tech-skilled enough and will need to spend thousands on developer’s help. Try to pick the solution that will fit your vision and needs - maybe you want to run a small store and don't need tough-to-comprehend extensive functionality. My final word: both top-rated hosted and open-source eCommerce solutions are powerful enough to fulfill all the merchant’s requirements - just be precise to define them properly. Remember that self-hosted shopping carts give you full control over coding of your site, but they take more time to launch a store. Hosted solutions enable you to set up a store in a few clicks and run it with no tech skills. Though, here you get less customization possibilities and limited access to your store code. No matter what eCommerce solution you are using - you can always migrate from free shopping cart software to hosted or vice versa with the help of Cart2Cart - automated migration service. Cart2Cart is designed to move your eCommerce entities from one platform to another. The service supports 80 shopping carts and allows you to automatically and securely transfer entities with no tech-skills. 24/7 support and Free Demo are offered. If you are ready to take your chance and change your current solution to a more robust one - start your Free Demo migration right now! One thought on "Why Free Shopping Cart Software Isn't Free?"